We made our traditional trip to the Central New York Regional Market in Syracuse on Saturday morning. It’s a large, fun market with several rows of sheds and tents, and I always depart with the wish that we had something of this scale in Northern Virginia. You can find great local organic produce, flowers, plants, fresh maple syrup, wines, honey, eggs, cheese, and butter, as well as crafts and flea market type items. The Amish community brings in lovely baked goods, which seem to go very quickly. The place gets busy early in the day, so arriving close to the 7 am opening time is a good idea. I wandered around taking photos of some of the produce stands. The boys were very excited by all the fresh fruits and vegetables, especially when they got to help purchase the items and helped Grandma and Papa carry the bags. 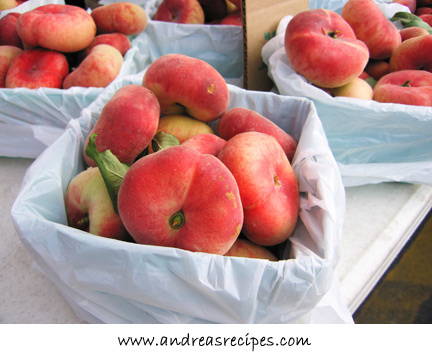 I thought these donut peaches had a beautiful color and fun shape. 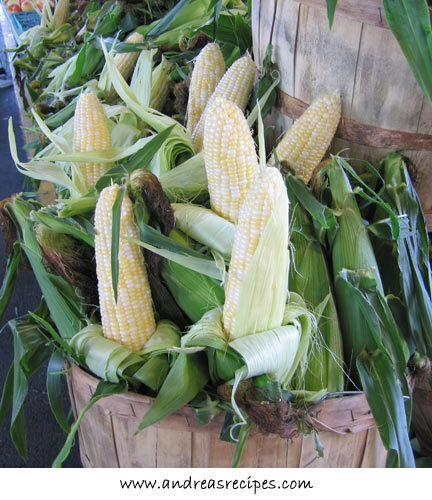 Corn is now in season, and we bought a bunch of ears of the popular bicolored butter & sugar variety. This is a good variety for home gardens, with just 75 days to harvest. We’d never seen Ishtar squash before, and had to ask about it. 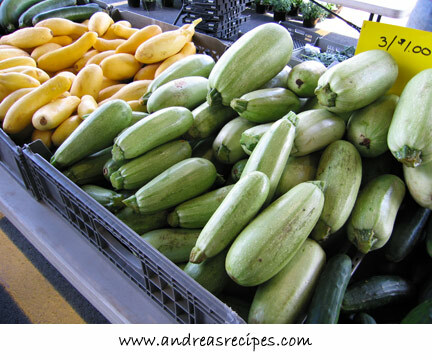 The vendor told us it’s similar to zucchini squash, only sweeter. We’re already scouring online trying to find seeds for next year. Carrots and beets and other root vegetables are starting to come in. I really liked the colorful varieties in this display. The flowers were especially pretty this time. Previous Post: « Grow Your Own Is One Year Old! Just Cook It, it was a wonderful way to spend the morning. Laurie, glad the photos brought back some good memories. My mother-in-law wanted to retire back to Syracuse primarily so she could go to this market on Saturdays. It’s a must-see for visitors to the area. Hello there. Are you from the Syracuse area? I live here and go to the market every Saturday. I find it interesting that you come here from Virginia? I usually blog about my purchases each week from the market. You are right, it is amazing huh? Hi Jen! My husband was born in Syracuse and his parents live in the area. We visit every year and always plan a trip to the market. Wow! What amazing stuff and your pictures make me want to go! Everything looks delicious! Hope you are having a great trip! This stuff looks great! In love with your blog! 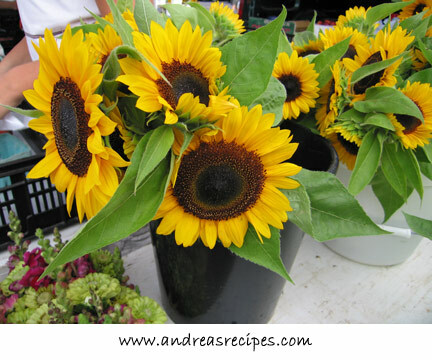 What a great market, I especially love the peaches… and the sunflowers. You are truly fortunate to have such a great market nearby and it is great that your kids appreciate it too. You mean I didn’t have to move from Syracuse to get great produce, shoot! I am from Fayetteville/Skanatelas and do miss the summers on the lake but California is great too. Thanks for the post. 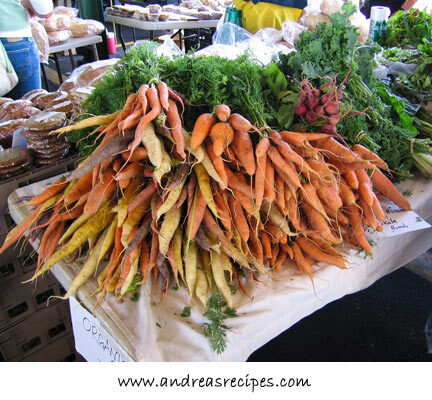 I miss going to the market and picking beautiful produce when they are in season, they are delivered to me every week now… Those are beautiful!